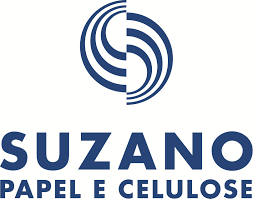 1st Green Bond in Brazilian Currency: Suzano Papel & Celulose, BRL1 bn (USD 294m), No2 from Suzano! Suzano Pulp & Paper has issued the very first green bond in Brazilian Real, following up on their successful USD 500m green issuance in July this year. The BRL 1bn (USD 294m) green securitization, locally known as a ‘CRA’ (Agribusiness Receivables Certificates), was issued on Friday by Eco Securitizadora, and backed by 100% export credit receivables from Suzano. The bond has an 8 years maturity and 96% of CDI interest rate, and according to Marcelo Bacci, CFO at Suzano “is the lowest yield ever in a ‘CRA’ in the local markets, which is mostly due to its green characteristics”. Per the announcement, proceeds from the transaction will be invested by Suzano in projects that feature positive environmental attributes and foster sustainable development. An independent auditor will monitor the use of proceeds and we’ll keep you up to date as additional information becomes available. At this stage we would expect projects to be in alignment with Suzano’s long-time sustainable strategies in forestry. This is the third green bond from Brazil, food giant BFR led off in May 2015 with a EUR 500m (USD 549m) BBB-rated bond attracting more than 50% European buyers. To learn more about the potential of green finance in Brazil, check our state of the market report Bonds & Climate Change 2016: Brazilian Edition, launched in August. We’ll write more about this new bond soon, as we will be hearing about it straight from Suzano themselves. They are coming to London next week for our 'Investor Roadshow for Brazil’s New Economy', on the 8th of December at the Guildhall. If you’re a London-based ​institutional investor, emerging markets or fixed interest specialist, or asset manager seeking opportunities in green bonds and Brazilian green financing developments, this event is not to be missed. More details and an RSVP here. Suzano Papel & Celulose SA is the second largest eucalyptus pulp producer in the world, and the first company in the world to be listed on the Chicago Climate Exchange (CCX) to trade carbon credits arising from planted forests. It was honoured by the Rainforest Alliance in 2009 as a Corporate Sustainability Standard-Setter (companies that exhibited outstanding leadership in efforts to promote sustainability) and its projects are certified by the Forest Stewardship Council (FSC). The Climate Bonds Initiative is not advising on the merits or otherwise of any investment. A decision to invest in anything is solely yours. The Climate Bonds Initiative accepts no liability of any kind for investments that any individual or organisation makes, nor for investments made by third parties on behalf of an individual or organisation.